The North Central Arkansas highlands and its mountain valley towns are a world of their own. It’s a popular region for retirees and vacation-home owners, thanks to the tranquility of the area, and a place Arkansans converge on for float trips, cavern exploring, festivals, lake weekends and world-class fishing. 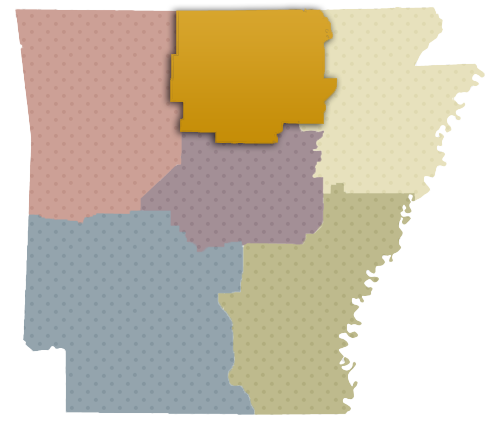 Nestled between the Ozark Mountains and the forests and farms of the Upper Delta, the North Central Arkansas highlands and its mountain-valley towns are a world of their own. The tranquil area is a popular region for retirees and vacation-home owners and a place in which Arkansans converge for float trips, cavern exploring, festivals, lake weekends and world-class fishing. In fact, North Central Arkansas fishing — especially on the cold-water segments of the White River — is one of the most popular tourist attractions in The Natural State. Anglers are lured here to catch trophy brown and rainbow trout on the White and Little Red rivers as well as striped bass and walleye on Bull Shoals and Norfolk lakes. Fishing resorts like Gaston’s White River Resort in Lakeview and Teal Point Resort on Lake Norfork in Mountain Home are popular getaways. Mountain Home, named the “Best Fishing Town in America” by Field & Stream, is one of the region’s largest cities, with 12,400 residents and service provided to more than 200,000 people in surrounding towns. The Buffalo National River is a big draw to the region. Kayakers, canoers, campers and trail-goers populate its banks year-round for spring’s white water, autumn’s foliage, winter’s frozen waterfalls and summer’s cool floats. 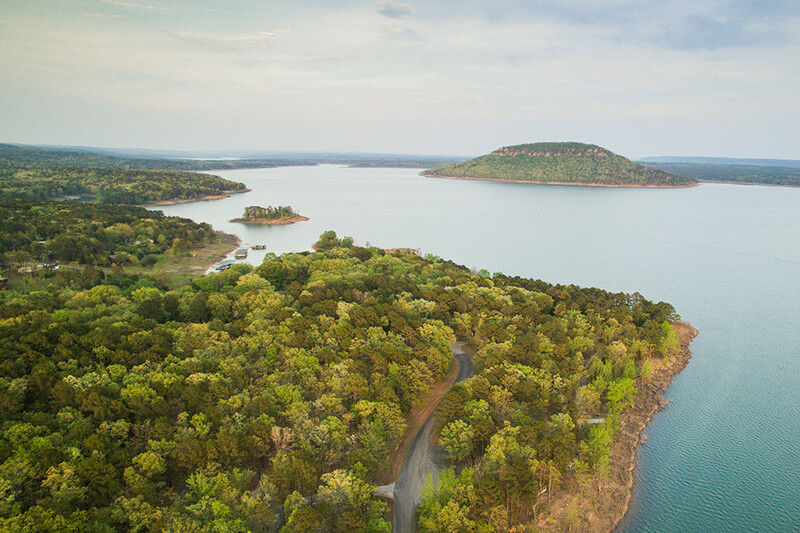 Whether you prefer bustling Heber Springs or relaxed Fairfield Bay, the quality of life around Greers Ferry Lake is second to none. Whether you go to find secluded waterfalls, bald eagles and swimming holes or to sail, scuba dive or see the annual World Championship Cardboard Boat Races at Sandy Beach, Greers Ferry has it all. Fairfield Bay is known for lake fun, wildlife, mountain biking, parasailing and hiking. The pastoral towns along U.S. Highway 65 in Searcy County are as beautiful as they are unique. The state’s prized elk population calls this area home, and it’s not because it’s the “Chocolate Roll Capital of the World” — although, that’s one reason Arkansans love to come here. Visitors come to watch a movie at Kenda Drive-In theater in Marshall or see Gilbert, one of the country’s smallest municipalities. 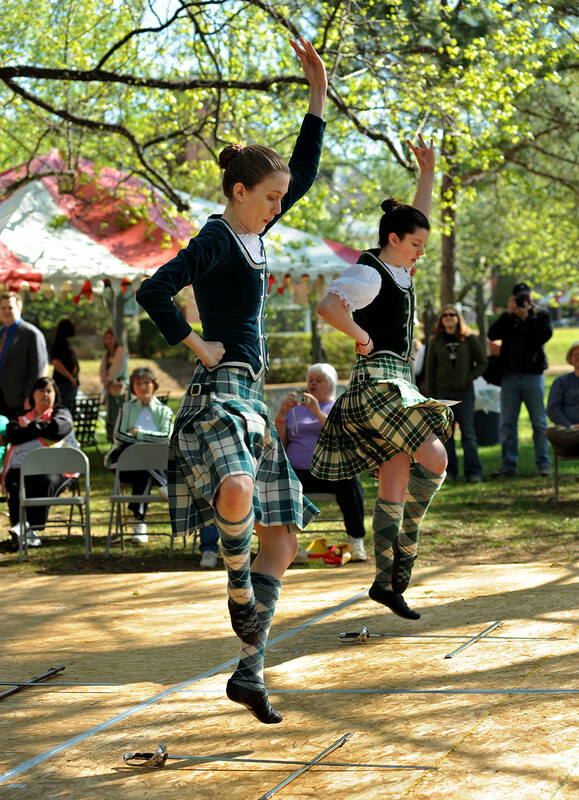 The county also hosts unique events like the Arkansas State Championship Hillbilly Chili Cook-Off in Lakeview. 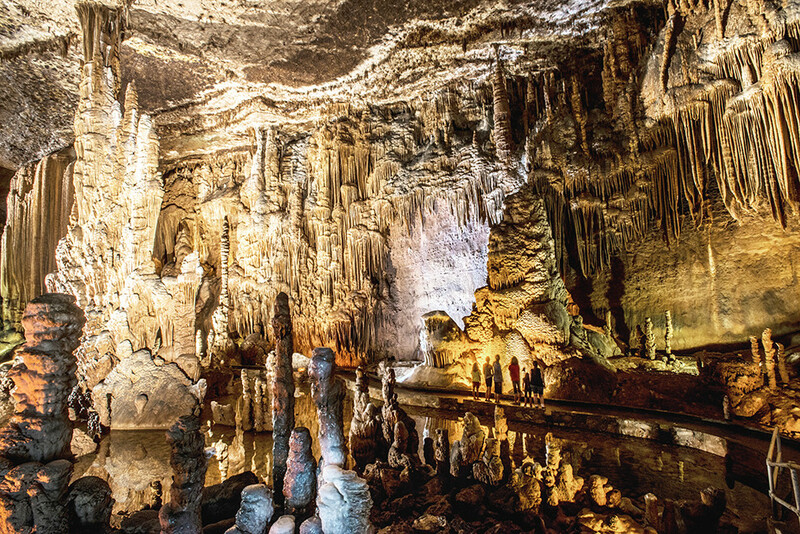 In the town of Fifty-Six, Blanchard Springs Caverns is one of the most spectacular developed caves in the country. 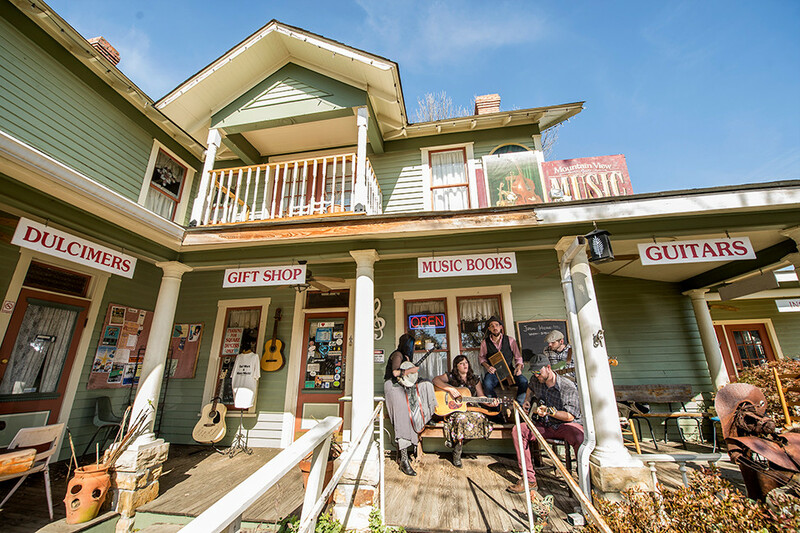 Nearby, Mountain View is known for being the “Folk Music Capital of the World.” It’s home to the celebrated Ozark Folk Center State Park, a living history attraction. Batesville is known for being the birthplace of NASCAR champion Mark Martin, who retired there and opened the Mark Martin Museum. The town is also known among outdoor enthusiasts for its mountain biking and rock climbing offerings. In Clinton, thousands come to see a geological wonder called The Natural Bridge. About 20,000 people also come to Clinton each year for the Wild West-inspired National Championship Chuckwagon Races in September. • Spot a yellow-banded trumpeter swan on Magness Lake. Get the band number and email it to the Trumpeter Swan Society. They will send you its birth certificate and story. • Sleep in a cave alongside a natural pool at Longbow Resort in Prim. • See Arkansas’s Stonehenge. Ancient stone spheres, including one in Murphy Hollow east of Prim, can be found in this region. • Hike an island mountain near Fairfield Bay. • Find the most beautiful waterfall—Triple Falls or Bridal Veil Falls, perhaps? The region is home to many that compete for this title. • Shop one of the largest antique stores in the nation, Antique Warehouse, in Botkinburg. • Eat your first chocolate roll, and then a second, at Misty’s in Leslie. • Watch elk graze in the Boxley Valley. • Adventurous. National Geographic recently ranked Mountain View as one of the “50 Great Adventure Towns” in America. • A great place to retire. Rand McNally Retirement Places and AARP’s Sun Belt Retirement both ranked the Mountain Home area as one of the top places to retire in the United States. • “An undiscovered haven,” according to Where to Retire magazine called Mountain Home. • “The capital of the world,” if you’re talking chocolate rolls in Leslie or folk music in Mountain View.